dietitian. I am also a registered Phlebotomist. 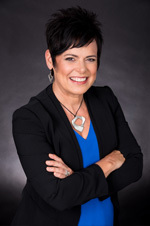 I am constantly learning and updating my skills as I take continuing medical education courses in the fields of Regenerative Medicine, Natural Medicine, Nutrition, as well as Business/Leadership, Management, and Marketing. Chief Executive Officer of Caring Medical: I am the CEO of Caring Medical Regenerative Medicine Clinics, directly managing and overseeing all functions of both our Illinois and Florida clinic locations, working closely with our management team, marketing team, financial team, and our qualified consultants developing and managing all aspects of our business. Author and writer: I am passionate about passing along our knowledge of natural medicine treatments and philosophies to anyone who is willing to listen! 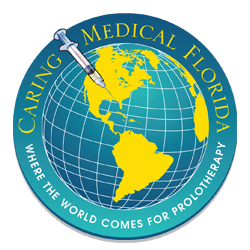 I oversee, edit, and/or write many of Caring Medical’s multitude of materials including books, brochures, patient handouts, website material, e-newsletters, blogs, newspaper/magazine articles, and social media posts. I even provide regular recipes for those who are interested in trying a new one! Prolo Your Pain Away! Curing Chronic Pain with Prolotherapy! 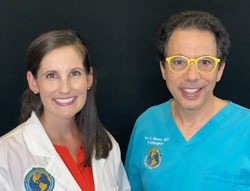 with co-author Ross Hauser, MD, where we provide up-to-date research and explanation about how you can stimulate your body to heal itself from pain, arthritis, and/or sports injuries without chronic use of painkillers or steroid shots or surgery using the highly successful technique of Prolotherapy. 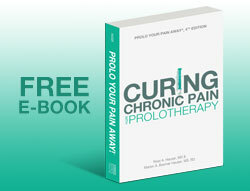 The 4th edition of Prolo Your Pain Away! 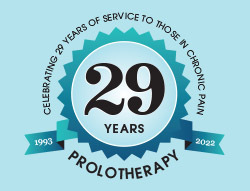 Curing Chronic Pain with Prolotherapy! is available on Amazon.com or in our office in paperback or electronic version. The Hauser Diet: A Fresh Look At Healthy Living with co-author Nicole Baird, CHFP, Creative Director, where we discuss common sense ways to eat healthy, as well as 5 different Diet Types that provide an individualized diet program for preventing and reversing disease, along with obtaining optimal health and fitness. Check out www.hauserdiet.com where you will find a series of health articles called The Doctor and the Dietitian® as well as fun and healthy recipes! Dr. Hauser and I also co-wrote a four-book topical mini-series of Prolotherapy books, as well as a 900-page sports book that discusses the use of Prolotherapy for sports injuries, as well as other topics including nutrition, surgery, x-rays, cortisone shots, MRI’s and other aspects of sports medicine. It is one of the most comprehensive books on Sports Medicine available. I also co-wrote Treating Cancer with Insulin Potentiation Therapy with Dr. Hauser in 2002 when we were actively treating cancer patients at Caring Medical. This book covers a multitude of topics related to cancer, including cancer cell physiology, treatment of cancer with IPT, diet for cancer, laboratory testing, and a many other related topics. This is a great book for those who are fighting cancer even though we are no longer providing alternative cancer care at Caring Medical. I also work as Senior Editor for Journal of Prolotherapy®. The journal provides up-and-coming research, scientific articles, and case studies on the topic of Prolotherapy and related subjects. Check it out at www.journalofprolotherapy.com! Caring Medical is proud of the research that we have provided in the field of Regenerative Medicine, having published over 30 journal articles. Athlete: Movement is key to maintaining great health! I realize the importance of exercise for myself personally and have made it an active part of my life. I love being outside and enjoying God’s beautiful creation. 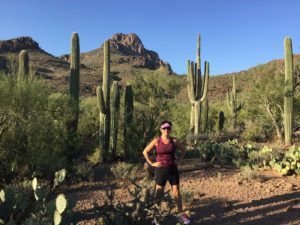 I am an avid athlete, having completed numerous 26.2-mile marathons, Olympic distance duathlons, and a wide array of shorter races such as 5Ks, 10Ks, half marathons, and sprint triathlons. I also love cycling, swimming, strength training, snow shoeing, kayaking, and hiking. Personal: My passion is food and natural health! I am constantly thinking about food and ways to make healthy delicious foods. As Hippocrates said, “Let your food be your medicine and your medicine be your food!” This is key to helping your body heal from Prolotherapy, as well as other medical conditions. You can never underestimate the power of eating fresh real food on your overall health! I love cooking, entertaining, and sharing meals together with friends and family. I love getting outside to participate in all kinds of activities that allow me to commune with nature and spend time with those I care about. 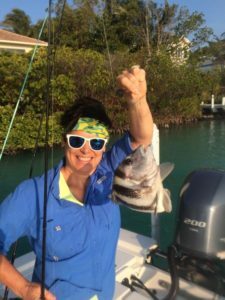 Fishing and gardening are a couple of my favorite ways to do just that! I grow many of my own fruits, vegetables, and herbs. Can’t beat fresh fish and homegrown vegetables for dinner – yum! I also love spending time with our two cats Marmalade and Flupi who provide us endless entertainment. I am an avid reader, student of the Bible, and lover of life! There are so many other things I would love to do, but don’t have the time! Some day! Until then, happy healing! We are so grateful that you have chosen to trust us with your medical care. We will do our utmost to provide you with 5-star customer service and help you get back to doing all that you would like to do in life!